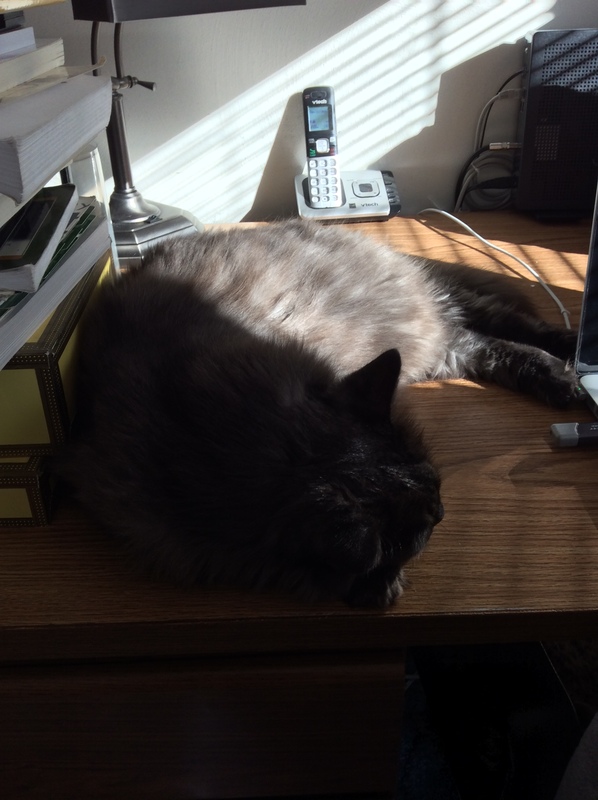 I found this sitting in my Photos library, one of the last pictures I ever took of Mister Fluffy himself, showing him curled up on my desk, basking in the sunlight and dreaming kitty dreams. I think I snapped this one with my iPod. It still hurts that he’s gone, but his memory lives on…and I miss my old Fluffy-man terribly. He was a beautiful cat. He and our PorkieMoose could have been brothers they look so similar.